Dementias form a group of neurodegenerative pathologies among which is the Alzheimer's disease, that accounts for 60 % of cases, and other related such as frontotemporal dementia, prionic diseases and vascular dementias. Currently, there are genes known to be associated with the most of these diseases, therefore it is possible to make a more accurate diagnostic of pathologies. The main genes related to Alzheimer’s disease are: presenilin 1 and 2 (PSEN1,PSEN2), whose mutations are identified in the most cases of early-onset Alzheimer’s, amyloid β precursor protein (APP) and apolipoprotein E (ApoE), which stands for the main genetic risk factor in Alzheimer's disease. This group of pathologies is characterized by the presence of aggregates of tau protein (encoded by the MAPT gene). Within these are included Pick's disease, frontotemporal dementia with tau inclusions, progressive supranuclear palsy and corticobasal degeneration. There are also some families with similar clinical defects to those found in tau mutations, which are generated by mutations in the progranulin gene (PGRN). In these patients TDP-43 protein is deposited. These diseases are characterized by the presence of abnormal deposits of a-synuclein (SNCA) in the cytoplasm. 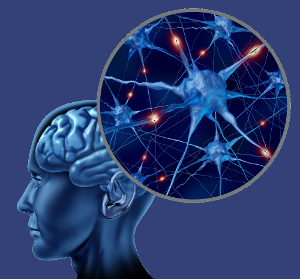 This group includes diseases such as Parkinson's disease and dementia with Lewy bodies (DLB). This familial disorder is caused by mutations in the Notch3 gene, located on chromosome 19. Secugen, in order to transfer the existing genetic knowledge to the usual clinical practice, has developed, in collaboration with leading clinical neurologists, innovative analytical panels by automatic sequencing techniques. Panel 1 (Alzheimer): Sequencing of genes PSEN1, covering most of the cases of early-onset familial Alzheimer, PSEN2, ApoE and APP. Panel 2 (Frontotemporal dementia): sequencing genes MAPT, PGRN, FUS, VCP and TARDBP. Panel 3 (Frontotemporal dementia): Quantification of hexanuclotide in intron 1 of C9orf72 gene. Panel 4 (Vascular dementia): sequencing NOTCH3 and TREX1 genes. The study can be done in different phases, not only covering the most important genetic analysis related to dementias in the unified and simultaneous way, but also avoiding unnecessary costs. Nevertheless, we offer individualized studies for the physician to make the analysis of one or more specific genes if appropriate. This diagnostic test is aimed at professionals from different specialties like neurologists, psychiatrists and geriatricians. Currently some of these pathologies do not have an effective treatment, but the test allows a more accurate diagnostic of the disease, which can avoid prescribing inappropriate treatments and costs of other unnecessary tests. It has a predictive value, with particular relevance to young patients and patients with a strong family history of dementia. Knowing this information will allow patients to have early benefit from specific treatments.